If you read this blog, even occasionally, you know that all our fabric-made products are done so with the help of Spoonflower, which is an amazing design service that prints your own custom designs onto fabric, wallpaper, and gift wrap. It's also a marketplace where you can purchase other people's designs and vote in weekly contests. This week's theme is the bee. 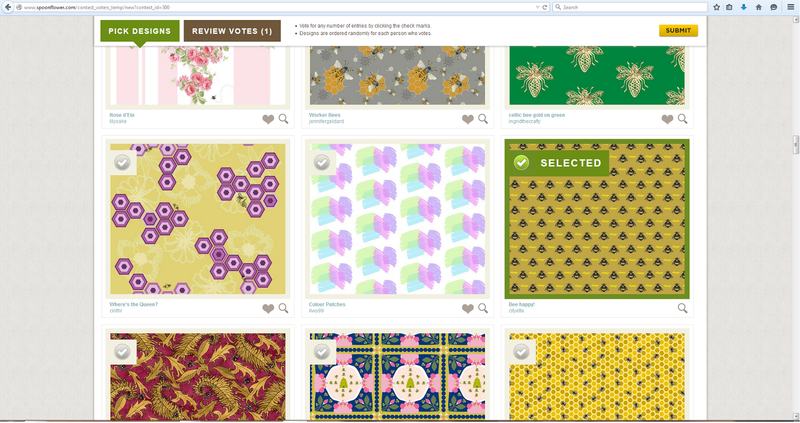 It's our first time entering a Spoonflower contest, and truth be told, the contest just happened to coincide with something we had already made, but we LOVE WINNING, so please consider voting for us!